I’m embarking on this great fibrous diet where I’m trying to increase my dietary intake on food which are high in fibre. I’ve been eating these healthy stuff for a week now and I’ve to say that my bowel movements have improved quite alot. What’s the difference between Granola, whole-grain cereal and muesli? Granola: Rolled oats, nuts, honey and sometimes dried fruits or puffed rice would be added. It’s pretty pricey in Singapore because most of the granola were imported from other countries like the US. This brand of granola is awesome! You can’t go wrong with honey and chopped almonds! 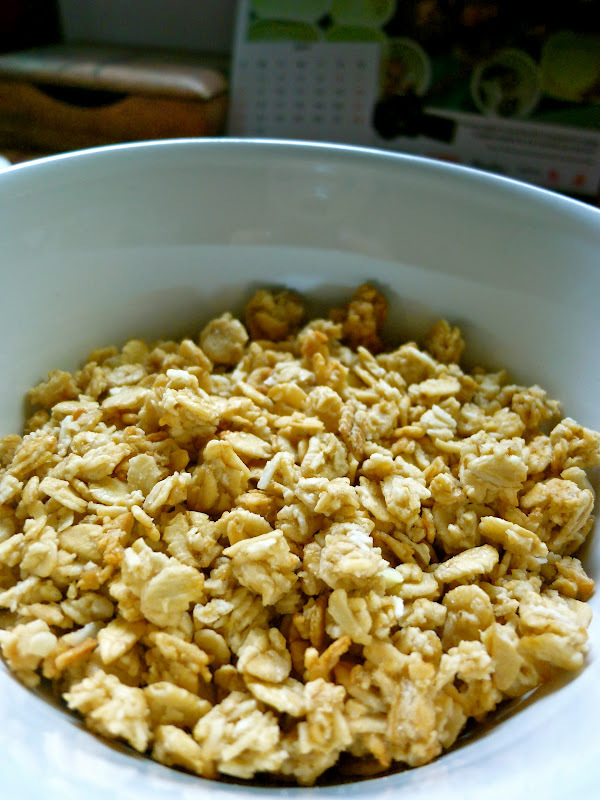 Whole grain cereal: Similar to cornflakes, except it’s whole grain. Post’s cereal has a variety of different types of cereals. I would say Great grain’s a healthier choice because it only consists of raisins,dates and nuts lik pecans. This is my all-time favourite cereal for breakfast and snack. It tasted great on its own. Muesli: Rolled oats,dried fruits and nuts. This is rather different from oatmeal where the oats have to be cooked over the stove. Muesli can be served with milk or yoghurt and it can be eaten directly. A healthier alternative to milk is soymilk which also contains alot of goodness like calcium and protein. It’s low in fat and it tastes great too! 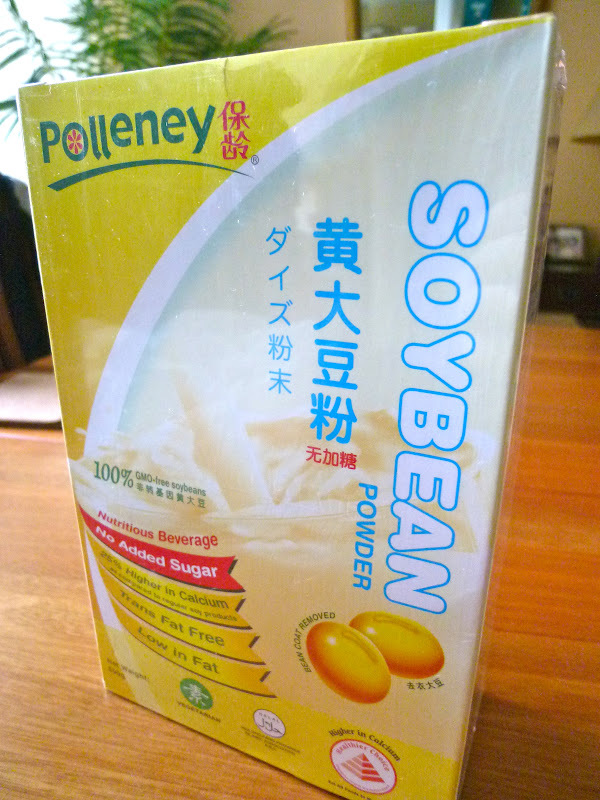 I’ve been drinking soymilk at least once day over the past 2 months. I would add cold water to the soybean powder, stir and add some cereal, oats or granola into it. The soymilk helps to soften the granola and oats so it’s easier for me to masticate especially when I’ve my braces on. 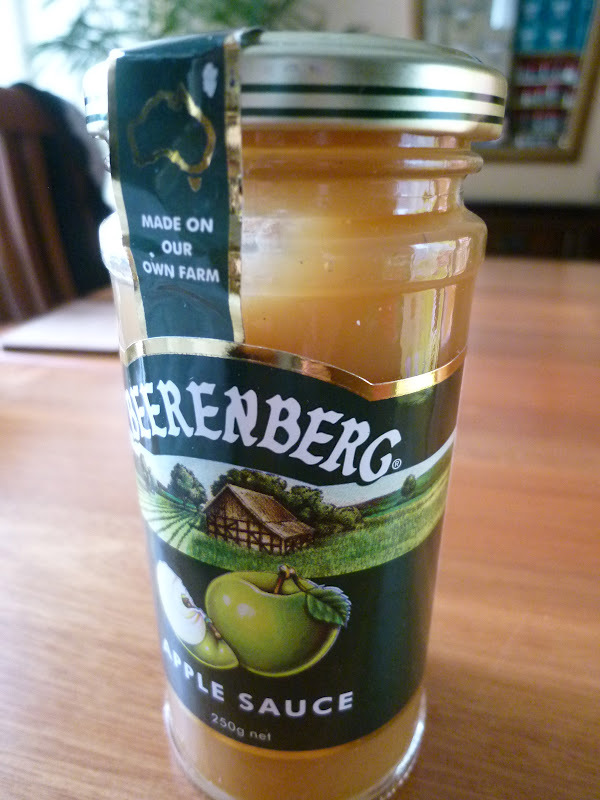 The night before, I would usually prepare my own lunchbox where I grab two slices of wholemeal bread and spread this apple sauce over the slices. Add a dash of cinnamon powder and there you have it! What do you usually have for breakfast/brunch?